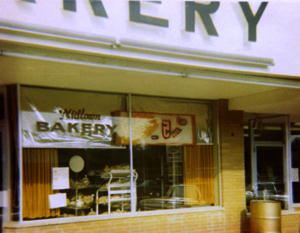 Emily's Bakery & Deli began life in 1906, when Joseph and Anton Pitz bought a bakery from J. A. Amberg. Called the Pitz Bakery, it was located at 218 E. 2nd Street in downtown Hastings. 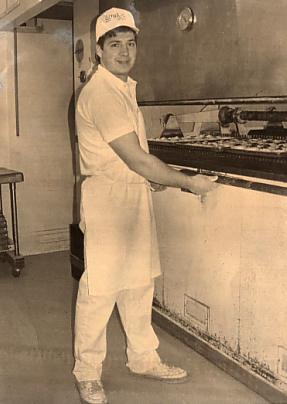 In 1946, Peter Dielentheis bought the bakery from the Pitzes. 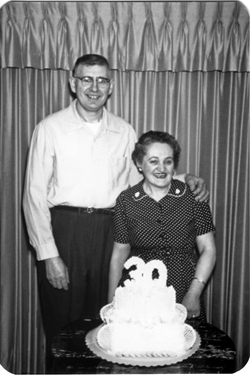 Dielentheis, a master baker trained in Germany, was a brother-in-law to Elmer and Emily Walker, grandparents of the current owners. 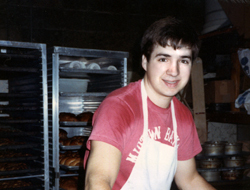 Two years after he bought the business, Dielentheis sold it to the Walkers, who renamed it Hastings Home Bakery. The bakery was truly a family affair. 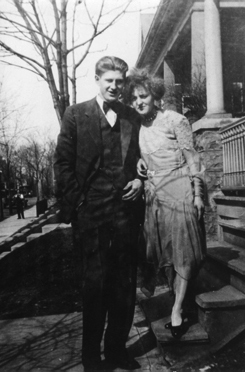 Elmer and Emily Walker's six children were all part of the bakery scene as they grew up in Hastings. 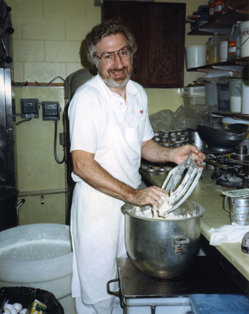 William "Buzz" Walker, Elmer and Emily's son, made baking his career. He worked with his parents in the business throughout the 1950s and 1960s. 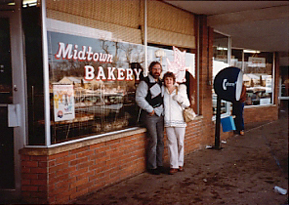 In 1965, Buzz became the owner of the newly built and renamed Midtown Bakery, which was located in the Midtown Shopping Center. 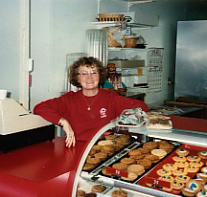 In 1980, Buzz's sister and brother-in-law, Peggy and Gene Fuchs, purchased the bakery. Peggy and Gene's son, Steve Fox, had started working for Buzz in January 1980. He soon was followed into the business by his siblings, Bob, Mike and sister Peggy. 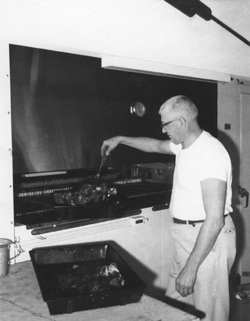 In 1985, Gene and Peggy opened a deli in the Masonic Block in downtown Hastings. It was at this point that they asked another daughter, Norine, to join them. 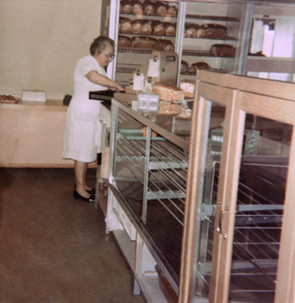 She worked at the deli location until 1987. At that time, the old coffee bar/restaurant was torn out of the Midtown Bakery and the deli was moved there from its downtown locale. 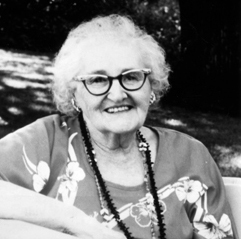 By 1988, Peggy and Gene were ready to turn the keys over to their children, Steve and Norine. The new owners changed the name of the bakery and deli to Emily's Bakery and Deli, in honor of their grandmother. 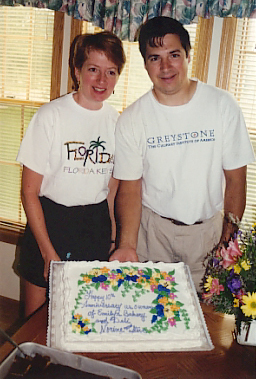 Since taking over the reins, Steve and Norine have expanded the store, first in the fall of 1990 by taking over adjacent space in the Midtown Center occupied by a shoe store and, in the summer of 1994, by opening an outlet store in Cottage Grove. After 12 years of operation, the Cottage Grove store closed in 2006. Meanwhile, the number of employees at Emily's in Hastings has grown to the current level of 40. 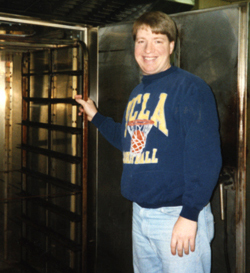 Over the years, Emily's Bakery and Deli carefully built a reputation for both quality and service. Our staff is dedicated to providing a wide variety of delectable bakery and deli selections at very competitive prices. We welcome you to Emily's Bakery and Deli. We look forward to our association with you and hope that it is mutually beneficial. Stop in for a fresh cup of coffee and a roll or to order food for a party of 100!